Residents of Bridgeport gradually started to pick up the pieces and rebuild Bridgeport following the war. However, major investments in the late 1880’s and early 1890’s would change the community from a farming town into a modern city. Northern and eastern investors, many of which had been Union soldiers during the war, remembered Bridgeport's mild climate, unlimited natural resources and river and rail transportation. This was vital when southern communities were considered for the moving of industry from the North to points in the south that were closer to the natural resources required by the industry. Frank J. Kilpatrick along with a brother and uncle, New York natives, started investing in Bridgeport real estate by early 1887 while envisioning the town becoming the New York (city) of the South. Promotion of Bridgeport by the Kilpatrick men and the Bridgeport Land and Improvement Co. brought in many investors who invested hundreds of thousands of dollars into the town in the form of new industry being built along the river bank and railroad; large buildings for retail being built in a new downtown district and large “Queen-Anne” houses and many smaller cottages along newly constructed streets and avenues. The Hoffman House, built 1891, in Bridgeport by Dr. Eugene A. Hoffman. The hotel had steam heat and baths, electric lights and an up-to-date metropolitan menu. Designed after the Hoffman House of New York, the Alabama structure sat at the convergence of Alabama and North Hudson avenues. It was razed in 1898. The Whitcher Block pictured below was completed in early 1891 at the convergence of Alabama and Whitcher avenues. It was here that the first city election was held in March 1891. 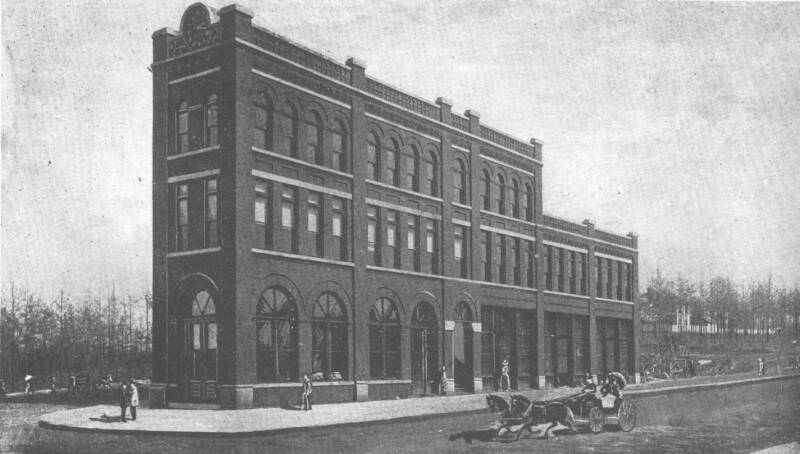 The building was also home of the first city hall. The pressed brick building with stone trim was built by Boston native O. W. Whitcher. It was razed around 1960. The Aldhous Block pictured above was completed in early 1893 at the convergence of Alabama and Brummel avenues. The stone/brick building was built by Frederick Aldhous. 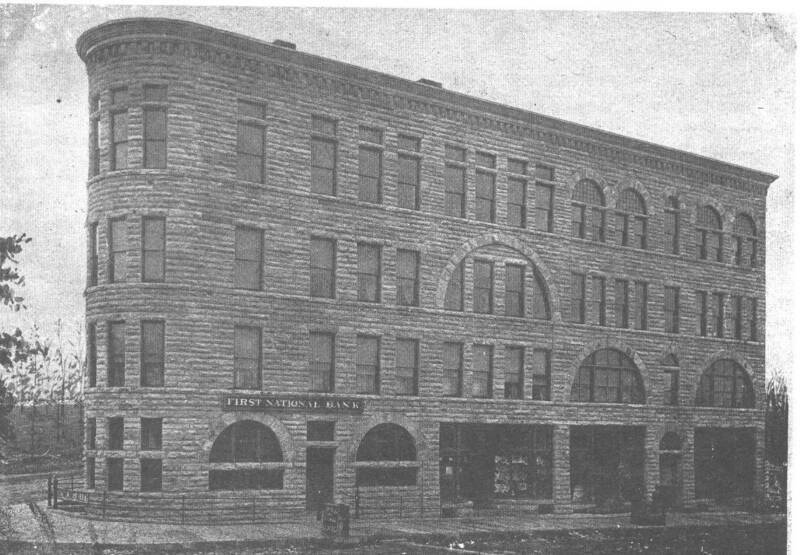 It housed a bowling alley and the First National Bank. The building burned on January 23, 1937. The Bridgeport dream was fast becoming a reality with the city becoming incorporated on February 18, 1891. Even education was not forgotten in the planning of the new city with new school buildings being constructed including the Alabama College of Dental Surgery, the first of its type established in Alabama. Bridgeport was growing by leaps and bounds when in 1893 an economic panic was felt across the nation and no more so than in Bridgeport where investors pulled out and returned north and east to protect investments there. Bridgeport was a city of shattered dreams and lost investments. The city would settle back into a period of more gradual growth with limited investments that were more local in nature. The long established residents of Bridgeport had witnessed their rural community developed into a small city, which altered the way they lived forever. The Bridgeport of today has many reminders of its historic past. From the railroad and the Civil War to the boom period, all have left a mark on the city that in one way or another still affects the city and its people today. Bridgeport in 2008 has many industries giving full-time employment to her residents and those from neighboring communities. There are also many churches of various denominations for worship. The city has a population of almost 3000 residents who are as diversified in nature and origin as many cities twice her size. The city’s loss of retail outlets and the decline in the establishment of new retail has hit Bridgeport hard over the last few decades. However, plans are in place for construction of a new hospital and shopping center on U.S. Highway 72 that city officials are hopeful will bring in new retail stores and provide Bridgeport’s citizens places to shop. The city’s future in the 21st century looks promising and bright as it works with its neighboring communities in promoting the growth of the region. Kilpatrick Row, pictured above, was completed on North Hudson Avenue in early 1892 by Frank J. Kilpatrick. The eight row-type "Queen-Anne" duplex houses were the first of their type in the south. Of the original eight, six still stand today. House #5 burned in 1996 after being struck by lightning and house #6 burned in January 1975. The houses are one of Bridgeport's biggest tourist attractions. The Chattanooga Pipe Works pictured below began operations in Bridgeport in 1891 with Mr. O. A. Giles as company president. Castings from here were shipped all across the country. The First United Methodist Church in downtown Bridgeport was built in 1925. 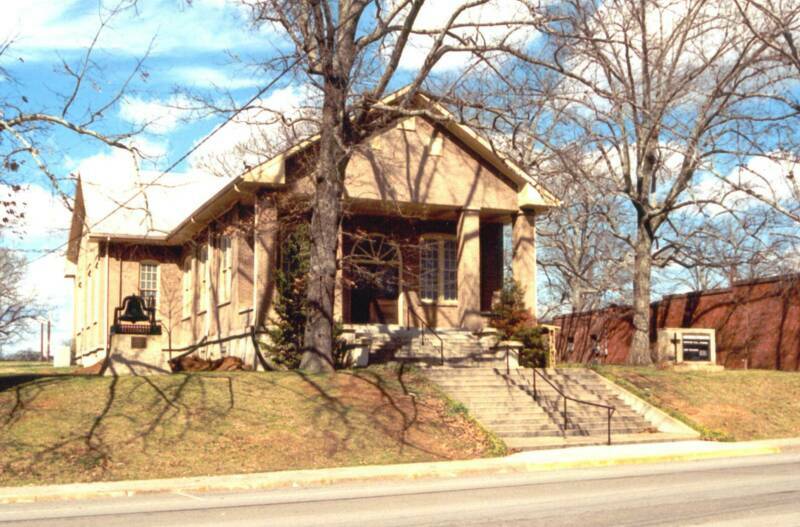 It was first established in the 1880's and moved as its congregation grew. This church and many others of different denominations including the First Baptist, Church of Christ and others serve Bridgeport residents as a place for worship. Photo made in January 1999. The Alabama College of Dental Surgery was established in Bridgeport in 1892 and graduated its first and only class in early 1893 before moving to another location. This was the first college of its type in the state. The building served as a public school through 1912 when purchased by railroad. 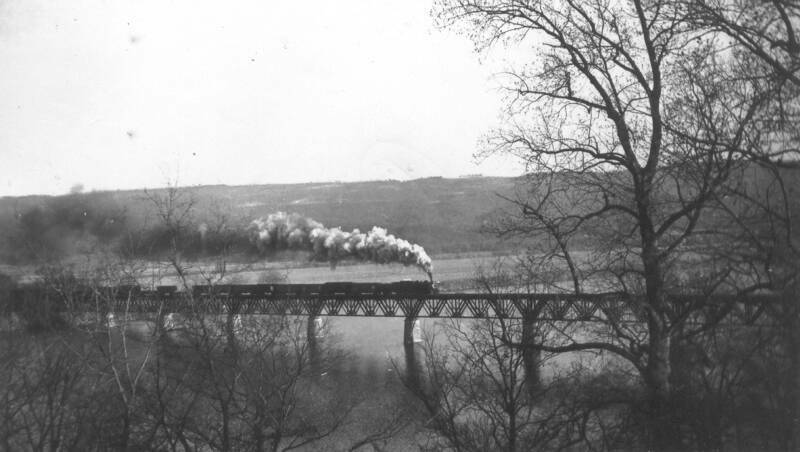 The "Joe Wheeler" belonging to the Southern Railroad is shown above after it passed over the Tennessee River at Bridgeport, Alabama in the 1930s. 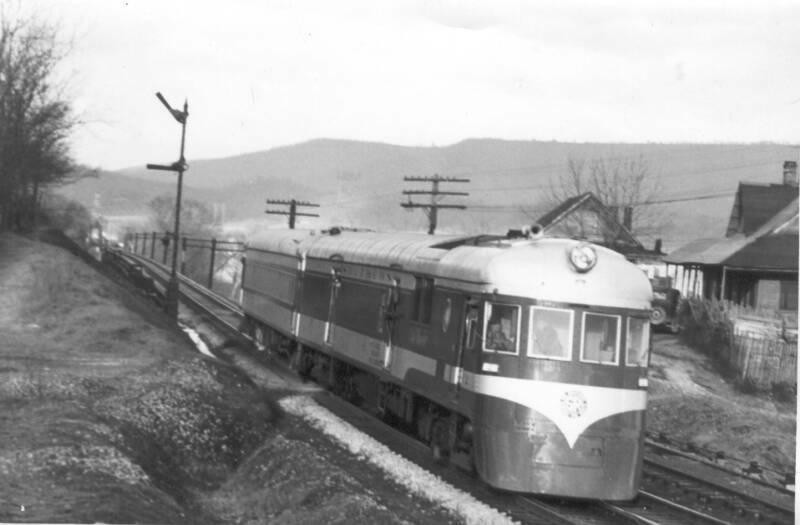 This was the first diesel locomotive to pass through the area, which ultimately spelled the doom of the old steam locomotive. A steam locomotive crosses the Nashville, Chattanooga & St. Louis Railway bridge across the Tennessee River at Bridgeport, Alabama below. This picture was made in the 1930s from the point of Battery Hill, which was the location of a Union fort during the American Civil War. View of the Tennessee River looking north towards South Pittsburg, Tennessee from Battery Hill in Bridgeport. 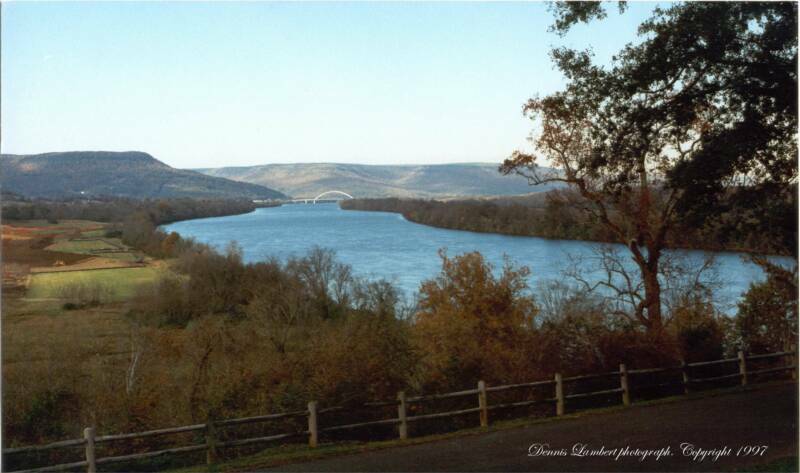 The Shelby Rhinehart bridge, completed in 1982 at South Pittsburg, can be seen upriver. Click here to return to previous page!